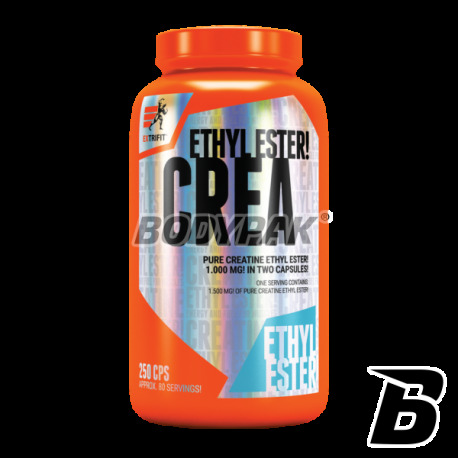 CreatineExtrifit Creatine Ethyl Ester - 250 kaps. 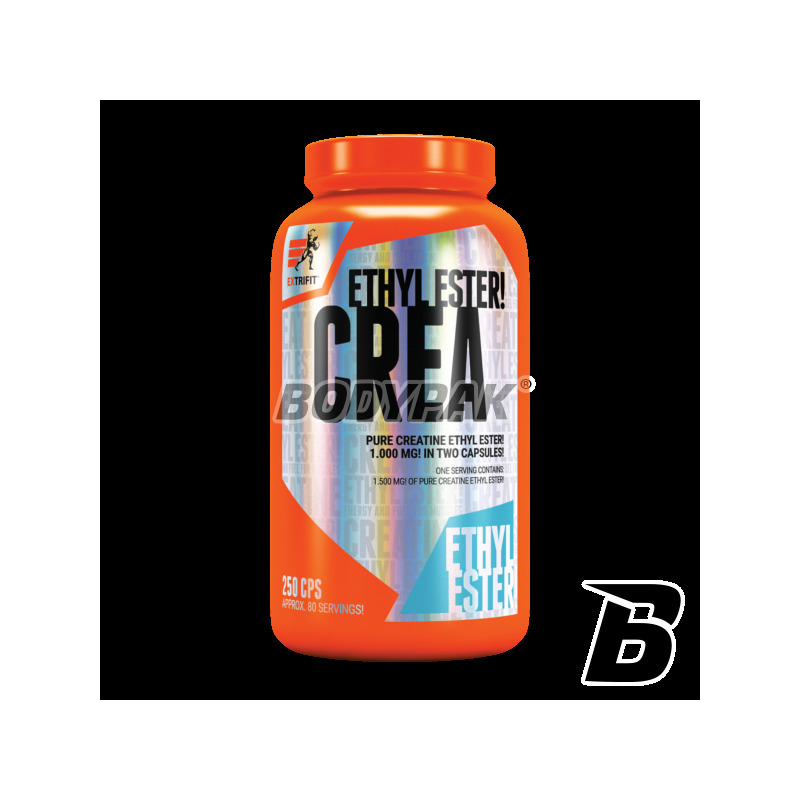 Creatine ethyl ester contained in the product brand EXTRIFIT is a substance with a very strong anabolic potential, which is characterized as a high anti-catabolic abilities. Was subjected to esterification in order to increase its bioavailability. It shows much stronger anabolic effect at lower doses than traditional forms of creatine. Weight gained on CREA Ethyl Ester is very high quality and there appears here the effect of flooding. Is a revolutionary product that can be applied both among powerlifters, sprinters and bodybuilders. Its action guarantees perfect and regular effects depending coached discipline. The main advantage of the product is that it provides the highest quality creatine HCl, which is characterized by up to 80% better absorbency. Ingredients: creatine ethyl ester HCl, magnesium stearate (anti-caking agent), gelatin capsule. Estryfikowana kreatyna jest jedną z najlepszych moim zdaniem - idealny wybór na cykl. Świetny produkt - masa i siła niesamowicie do przodu!